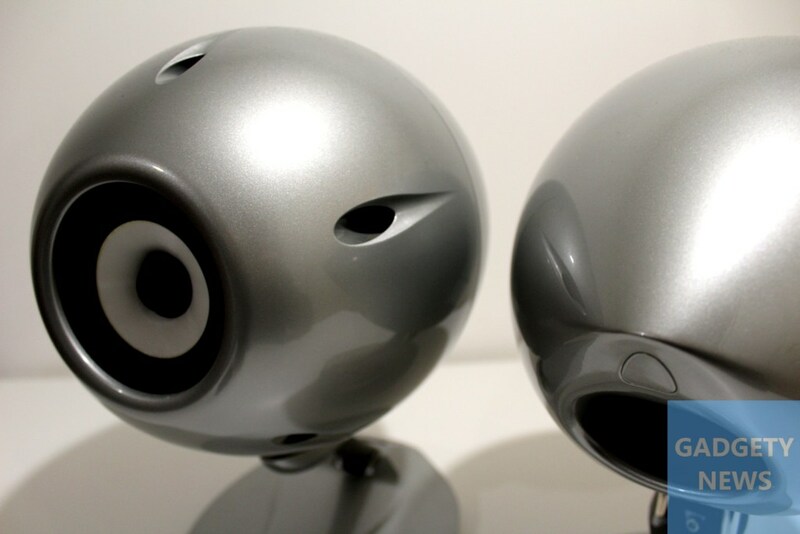 Eclipse is renowned for its strikingly egg-shaped speakers. The clever folk at Eclipse wring out the very best and the most they can from a single full-range driver per cabinet. 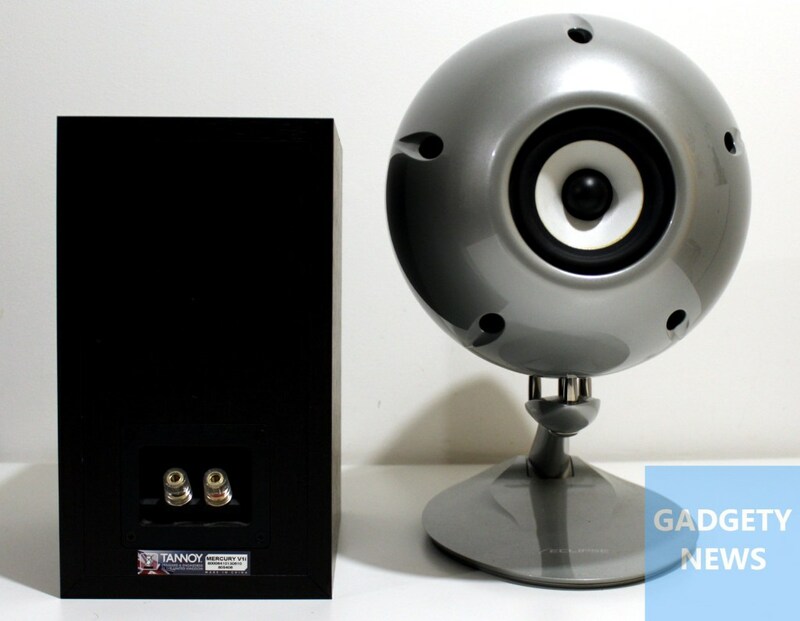 Recently, the TD510Mk2 has been entertaining us at GadgetyNews HQ. We have slowly been working our way up the Eclipse food-chain. Now we find ourselves at the TD510Mk2, just below the astounding, top-of-the-range TD712zMk2. 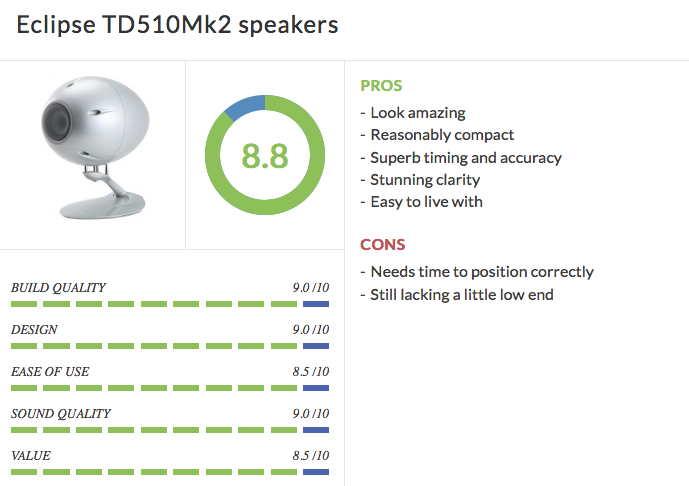 As you may have guessed, the TD510Mk2 are larger than the TD508Mk3 we reviewed most recently. Those we found lost a little oomph in the lower regions at some points. Will their larger sibling do better in our modestly-sized room? 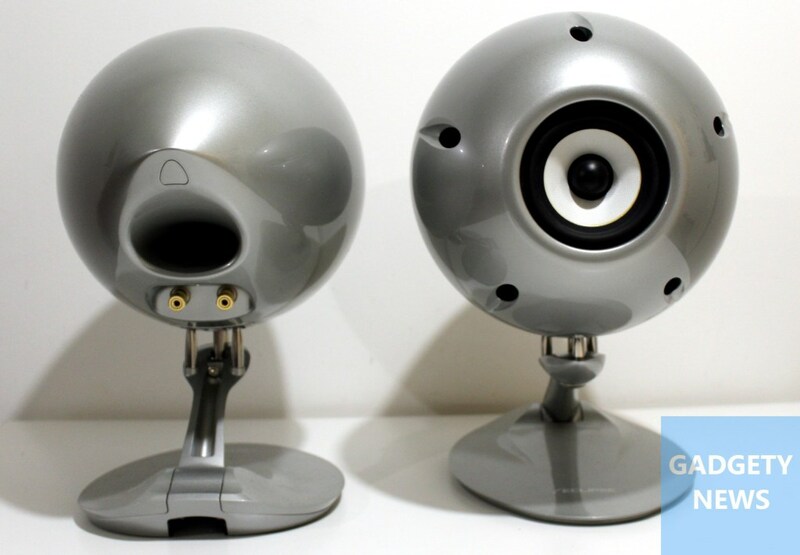 The TD510 Mk2 very much follow the same design concept and aesthetic as their other speakers. So, without labouring the point, each cabinet is made from two synthetic parts joined around the middle. The TD510 are equipped with the 10cm fibre-glass drivers seated in the front section of the ‘egg’. Around the rear is where you’ll find the speakerposts and a bass port. The TD510Mk2 didn’t come with grilles so this means I felt like I was being watched. All. The. Time. It took a while for my girlfriend to get used to their never-blinking stare. Granted, I didn’t help matters by playing Jeff Wayne’s ‘War of the Worlds’ through them. However, she now loves how they look. The adjustable desk stands of the TD510Mk2 suits the aesthetics of the speakers. The bundled Allen keys allows you to alter the angles of the speakers. You can even mount the speakers on a wall, or even on a ceiling. Please make sure your walls/ceiling can take the weight. These tip the scales at 9.5Kg each. Also, they measure 255×391×381mm (WxHxD). For the purpose of this review I had to balance the TD510Mk2 on my usual stands. Not ideal. I did ask if there was any chance of borrowing the Eclipse stands. The response was that the stands I have seen are integral to the practically identical, yet taller, twins the TD510z. I have also seen the pricing of the floorstanding Z model. The speakers are quoted as having a frequency response of 42Hz-22kHz (-10dB). Being rear ported I took some time in getting them a decent distance from the wall. Also, with my previous Eclipse experience, I ensured that they were toed-in a little more severely than I would my usual speakers. Taking the time to get the positioning right is really rewarding. I think this goes especially with these speakers as they are quite focused. Eclipse really work on the pace and timing of their speakers. I am pleased to say that the TD510Mk2 is no exception. Naturally, with a single driver of this size, the treble and upper mid-range are amazingly agile and sweet. Thankfully, the bass is also instantly more present than it was from the 8cm drivers of the smaller versions. Firstly, dropping the needle on Robin Trower’s ‘Bridge of Sighs’ LP brought both warmth and clarity. The band all had their own area and vocals had both presence and expression. A Perfect Circle’s ‘Package’ on CD is one of my favourites for its opening bass salvo. It rumbles through tautly but without annoying the guitars. Back to black plastic and Leftfield’s recent re-release of ‘Leftism’. Bass is still potent but there is only so much even the clever folk at Eclipse can manage. Yes, it is swift, direct and clear, however, you are never going to be able to achieve earth-moving sub bass from a 10cm driver that is covering everything. It is still a very enjoyable listen and not really being a bass hunter, they are pretty good for me. That said, I can’t help but feel I am still missing something from some tracks. I guess this is why Eclipse offers a sub woofer unit too. I would suggest that you look at adding that as well if your room is of a decent size. For my little London living room, the TD510Mk2 just about do the trick. The Eclipse TD510Mk2 possesses a lot of the enjoyable traits the smaller eggy speakers have. They have amazing timing and an entertaining clarity. I really do have a soft spot for Eclipse units. For most music, no matter the source, the TD510Mk2 prove to be adaptable. Yes, they do need a shove from the amp. Also, as well as loving to be driven, the speakers are quite directional. That said, with a little time spent at getting them positioned, they will not fail to impress. If you are looking for something other than another boring box but still value timing, accuracy and clarity, I urge you to take the TD510Mk2 for a test drive. Also, see if they’ll throw in the TD520SW sub for good measure. After hearing these incredible TS712z Mk2s, you’ll think that everyone else has got it wrong, and Eclipse has got it right! 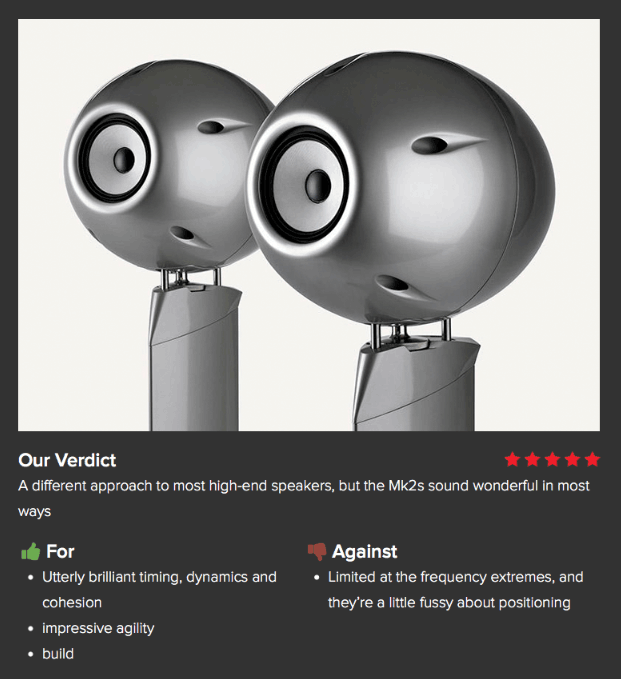 Eclipse’s range topping TD712z Mk2s are a wonderful mixture of sublime brilliance and mediocrity. 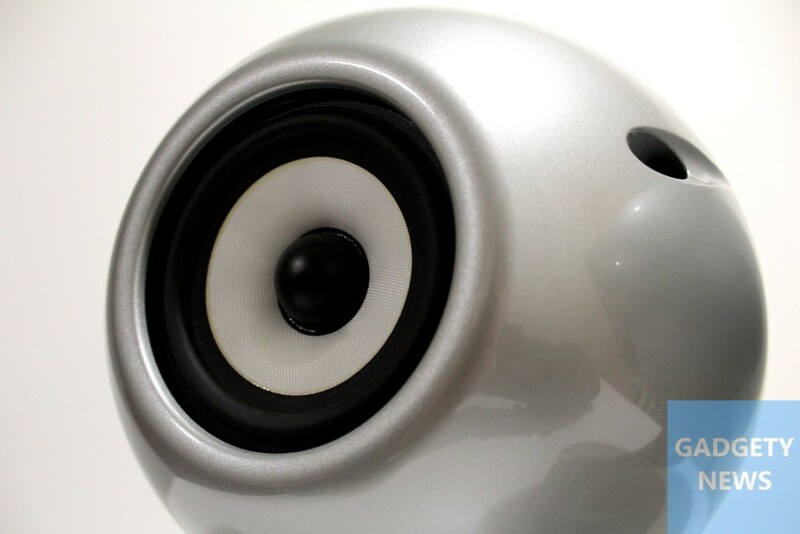 It all stems from the company’s dogged determination to produce a speaker that can properly reproduce an impulse signal. Impulse? It’s a single transient lasting a very short period of time. Such a signal contains all frequencies, and Eclipse believes if its speakers can produce an impulse correctly, then everything from timing to detail resolution will fall into place. So, the engineering approach is as distinctive as they come. Eclipse uses a single drive unit to avoid all the phase and integration concerns that are part and parcel of any multiple driver arrangement. It also means there isn’t a crossover circuit – there’s no need with just a single driver – so all the resolution, dynamic and phase issues of such circuits are bypassed. That single drive unit is held rigid by a dense anchor inside the enclosure, which diverts any vibration energy into the dedicated stand. 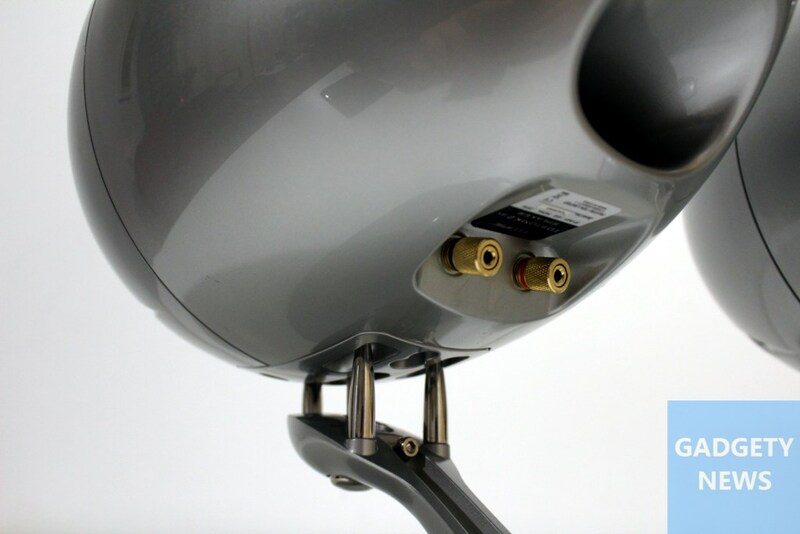 The enclosure is also held by the anchor, but is decoupled – meaning little of the drive unit’s energy is fed directly into the cabinet. This reduces resonance to a very low level. 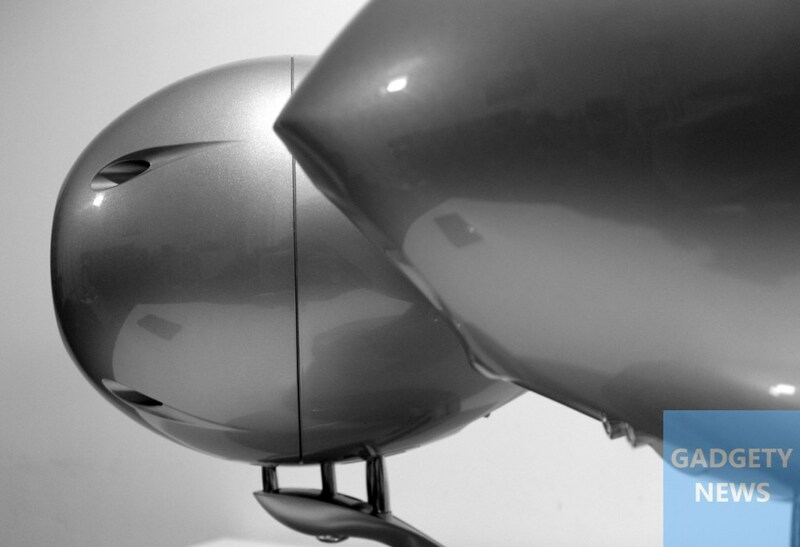 The enclosure’s egg shape helps too, minimising diffraction and improving rigidity. Making it out of ABS – fancy plastic to you and us – means it’s strong and very well-damped. The most obvious changes from the early version of this speaker include a 50 per cent larger enclosure and a new drive unit. The design aim is to deliver greater bass and smoother treble without sacrificing the model’s traditional strengths. And There’s no doubt Eclipse has succeeded. The sonic presentation is more tonally even than before. There’s enough bass weight for the speaker to sound balanced without using a sub, and its extra treble energy helps openness. That said, the 712z Mk2s are still compromised at both frequency extremes. That 12cm fibre glass driver is still a relatively small unit, and has no chance of matching the kind of low-end grunt just about any other five grand speaker has in spades. High frequencies, despite the gains, still lack the extension and refinement expected at this price level. The 712’s dispersion at treble frequencies is still relatively poor – the driver is too large to disperse high frequencies well – so precise positioning is crucial. But make no mistake, there is plenty to enjoy. When it comes to timing, dynamics and detail resolution, we doubt you’ll find better – at any price. Much the same could be said of the stereo imaging. No other speaker in our experience, with the possible exception of Quad’s electrostatics, can produce such a well-defined and precise sound stage. These Eclipses sound more life-like and cohesive than just about anything you can buy. They play Tori Amos’s Abnormally Attracted to Sin with all the insight and subtlety you’d want, yet still have the power and excitement the likes of Kings Of Leon deserve. Multi-driver alternatives put bandwidth ahead of cohesion and timing. Compare any of these to the Eclipses, and they sound messy and poorly organised. The flip-side is, they’re more expansive tonally and can fill a room better. All speakers are engineering compromises. Eclipse has a different set of compromises to everyone else: give them a long listen and it’s hard to argue they’ve got it wrong.